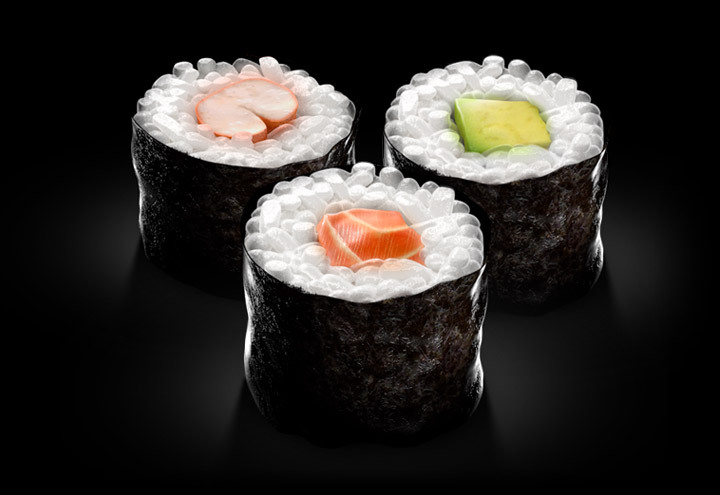 One of the most popular sushi type is the maki sushi, (巻き寿司) or »rolled sushi«. Wrapped in Nori, the small rolls are generally formed with the help of a makisu, a bamboo mat. Besides the Maki rolls there is the gently hand-formed nigiri sushi. 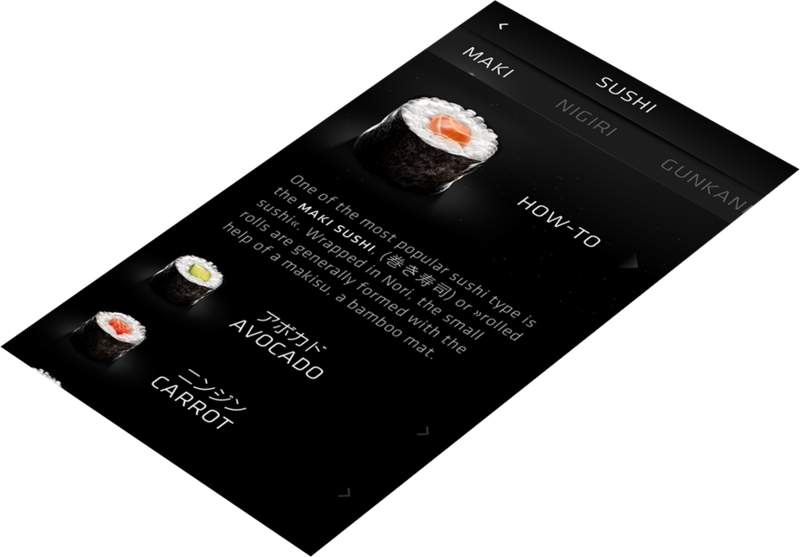 For a great Nigiri (which means »squeezed«) you need the right balance between the topping and the rice. 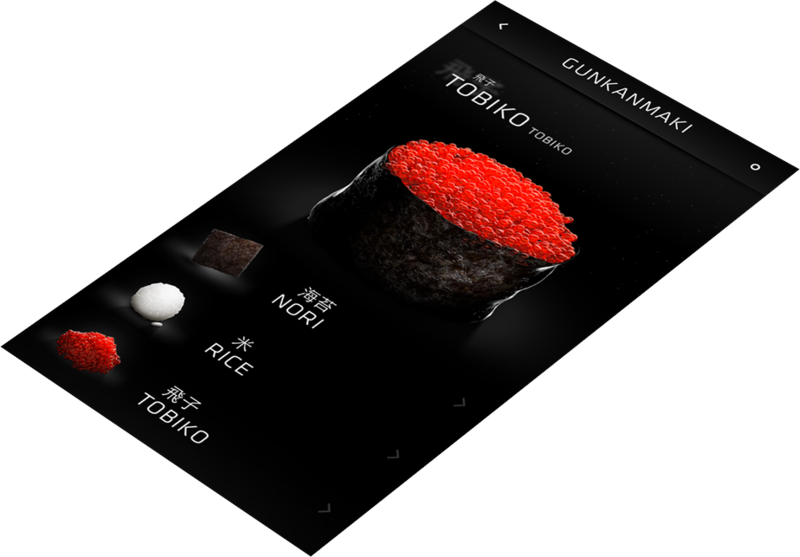 The gunkanmaki sushi is very similar to the Nigiri sushi: On top of a hand-formed clump of sushi rice goes the topping. Because the Gunkanmaki topping is usually very loose, everything is wrapped up in a Nori strip. For making sushi you will need several utensils. So we added the most important ones to a small list for you, where you can find information about how to deal with each utensil. The most important thing for great sushi is, of course, the fish. Without good fish you won’t have good sushi. 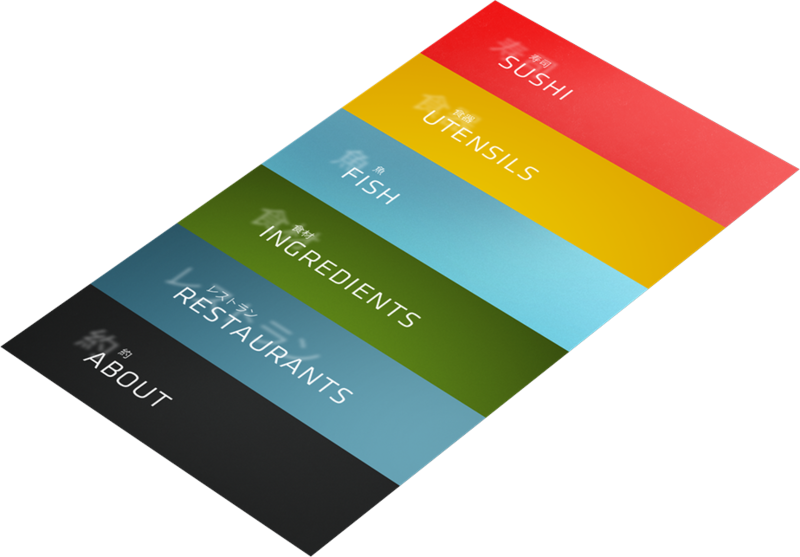 That’s the reason why we made a whole section about fish in our app. 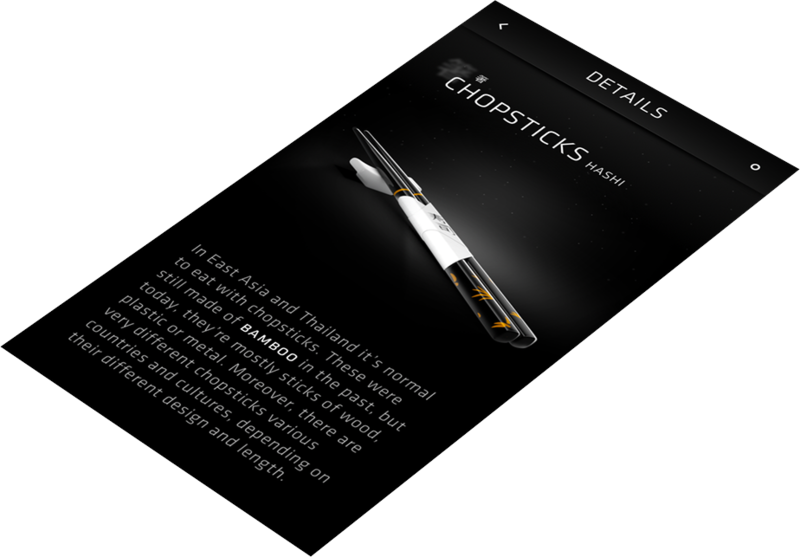 We added a small trivia text to the ingredients, which makes browsing every kind of fish, mussel or roe more interesting. 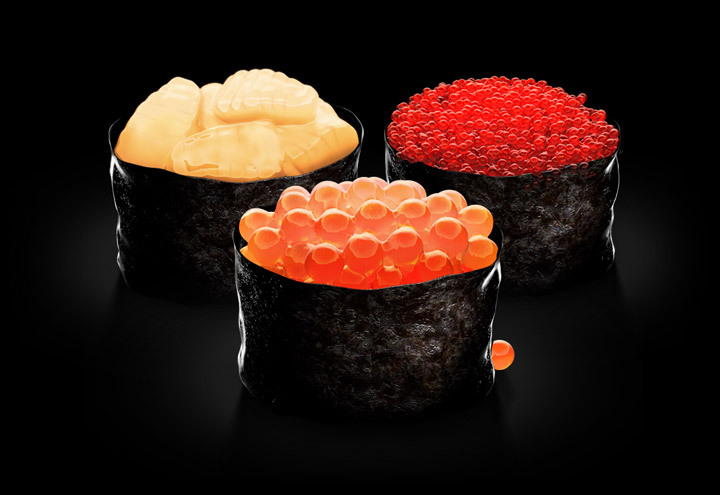 Last but not least you can view our roe category to see these beautiful and tasty ingredients. 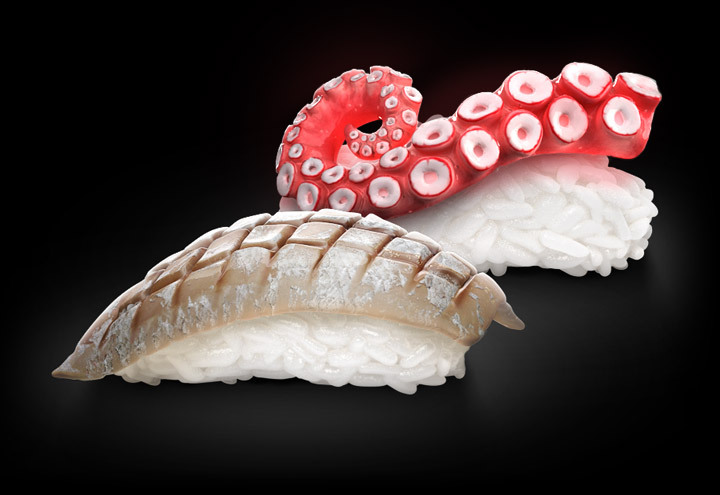 So the next time you will eat sushi, you are informed about what’s on your plate. Bon appetit! Cooking sushi rice is not easy. But we will help you! 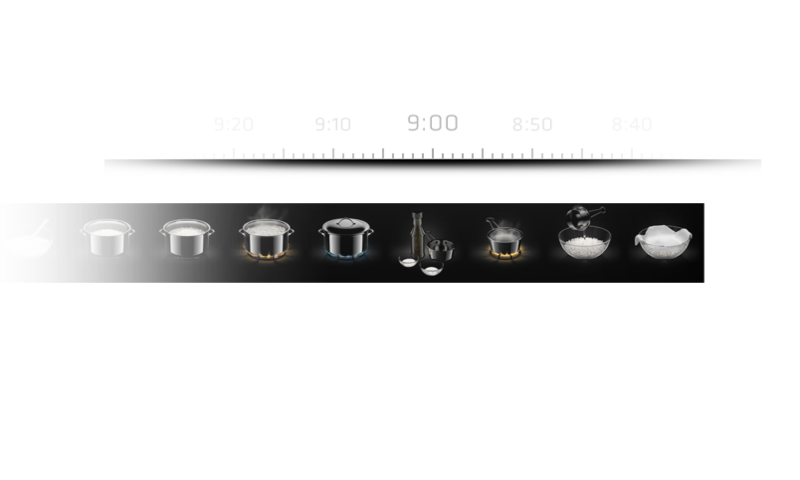 Our small cooking tool will assist you in every step for a great result. And of course there are many more ingredients, but don't panic: We'll walk you through. 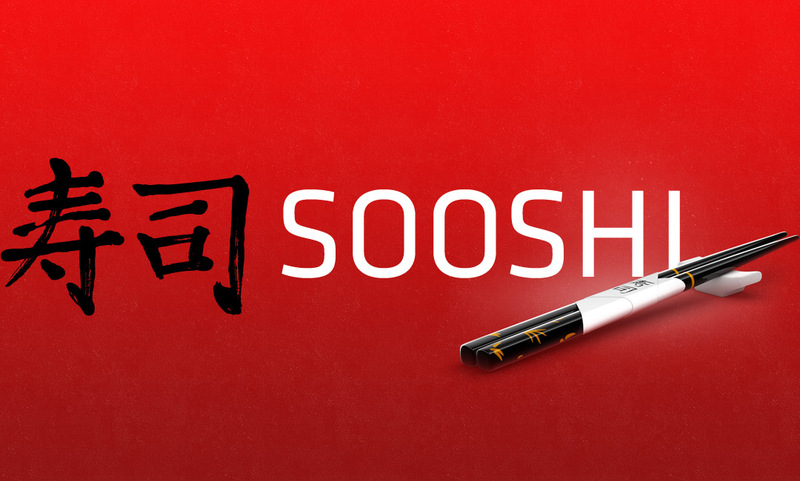 With the restaurant finder in sooshi you are able to find the nearest sushi-restaurant. 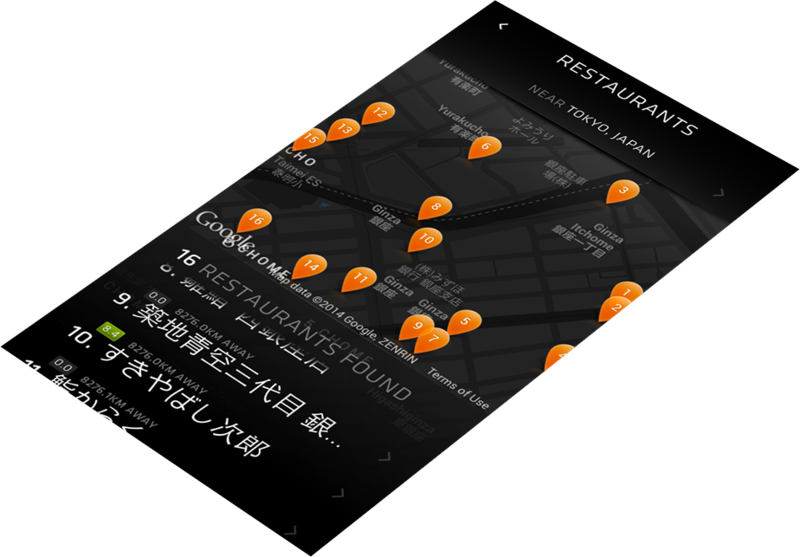 The app takes your current coordinates and uses the foursquare api to find the best and nearest spot for you to eat some delicious sushi. 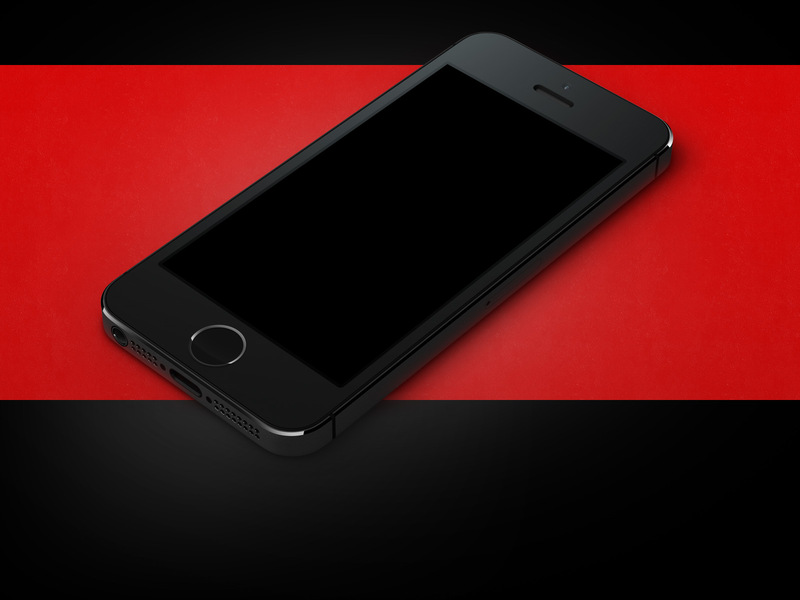 The code was delivered by our dear friend leonard hecker from Germany. You can follow his outstanding dev-work on GitHub.